Acupuncture is therapy that dates back to over 5, 000 years. Merle Friedman can painless apply acupuncture treatments that are very effective in immediate pain relief in most patients. Merle Friedman has trained and studied Acupuncture from the world-renowned Chinese physicians for over three years. To read more about Merle’s Acupuncture education, click on Acupuncture skills learned from the best doctors in Chinese Medicine. Merle Friedman owner and founder of Brandon Acupuncture Center and Wellness is a Board Certified acupuncturist and licensed by Florida to do diagnostics, prescription and treatment. Merle also holds a Master’s Degree of Oriental Medicine and Bachelors Degree of Health Sciences to complement her skill and knowledge of Acupuncture. Merle is founder of the Brandon Acupuncture Center and Wellness that provides immediate pain relief. 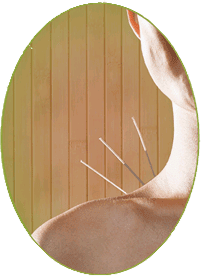 Merle has over 30 years of experience as a Medical Practitioner and practices acupuncture at Brandon Acupuncture Center and Wellness in Brandon, Florida. Acupuncture treatments by Merle are very effective for almost all of her patients for a variety of health issues that include: arthritis, fibromyalgia, back pain, carpal tunnel, allergies, asthma, gastrointestinal issues, gynecological problems like infertility and PMS, depression, anxiety, insomnia, stress and many more physical, emotional and neurological issues. Please visit Merle at her Brandon Office to receive special attention and her skillful and experienced acupuncture treatment and consultation. Call (813) 381-3835 today to make an appointment to feel better. Acupuncture is just one form of therapy used within the coherent system of healing known as Oriental Medicine. Acupuncture evolved from principles and philosophies unique to Oriental thinking and Oriental Medicine, and is most effectively applied when done by those principles. Acupuncture is used to promote overall health and ease pain and suffering. The concepts of “vital energy”, “energy balance”, and “energetic imbalance” are used to carry out these goals. Acupuncturists assess the flow and distribution of this “vital energy” within its pathways, known as “meridians and channels”. This is what Western medical doctors do when they monitor blood flow in the blood vessels and passages along the nervous system. By stimulation of certain areas or “acupoints” along these meridians, the acupuncturist can influence health and sickness. Stimulation can be accomplished by the traditional slender needles most people associate with acupuncture, but it can also occur with herbs, electricity, magnets, and lasers. The goal is to adjust the “vital energy” so the proper amount reaches the proper place at the proper time. This helps your body to heal itself. 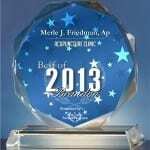 Call Merle Friedman (813) 381-3835 today, to get an acupuncture treatment to improve your health. Merle accepts most insurance companies that recognize acupuncture as an effective treatment for their subscribers, such as Cigna Insurance – please check with your insurance company for further details.